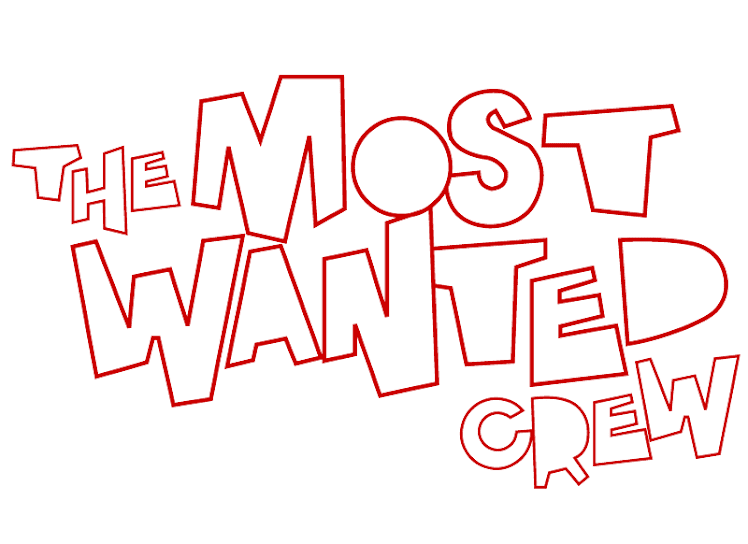 The Most Wanted Crew : Behind The Hype: CHICA TERREMOTO IS SHAKING THINGS UP! CHICA TERREMOTO IS SHAKING THINGS UP! 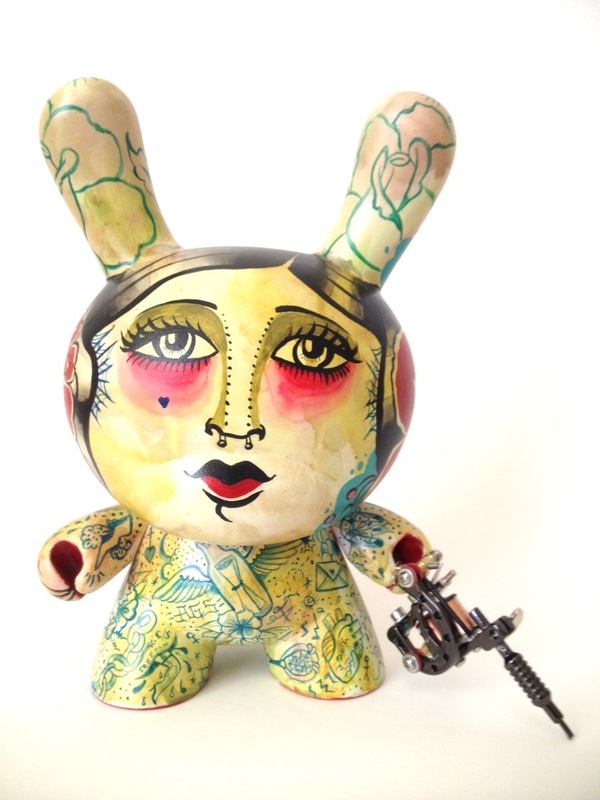 Los Angeles native Carla Gomez, aka Chica Terremoto, has quickly made a name for herself after showcasing her very first custom vinyl figure (which is now in the hands of a collector) at the "Most Wanted: Behind The Hype" show back in May of this year. Although she is hardly new to the art game in general, she is just kicking things off in the custom toy scene and is definitely someone to follow. Blending classic tattoo styles (she's just as talented with a needle as she is with a brush) with a beautiful vintage wash and a perfect balance of bright vibrant colors, she's created a style all her own that is sure to capture the attention of anyone who comes across her work. Using acrylics, a mini tattoo gun accessory and a great sense of humor (take a close look at all the miniature tattoos), "Perdoname" pays tribute to her passion for tattooing, and the slight "bumps" it's created for her along the way. Based off of an earlier ink and water color piece of hers titled "Perdoname Madre Por Tatuar", which translates to "Forgive me Mother for tattooing", you can see how Chica Terremoto has truly brought this amazing work of art to life. "I have tremendous respect for those who are capable of achieving extremely detailed work on such a small scale and it is at this size that demands us to look closely. There is no way to appreciate these pieces from afar, for each one holds an intimate, visual story for someone to read. These toys also call for actual, hands-on work which is something I feel is getting pushed aside as our dependency on digital media and technology increase. I see the beauty in imperfection and not having EXACT replicas." I couldn't have said it better myself! Be sure to check out her extensive portfolio on her website HERE. 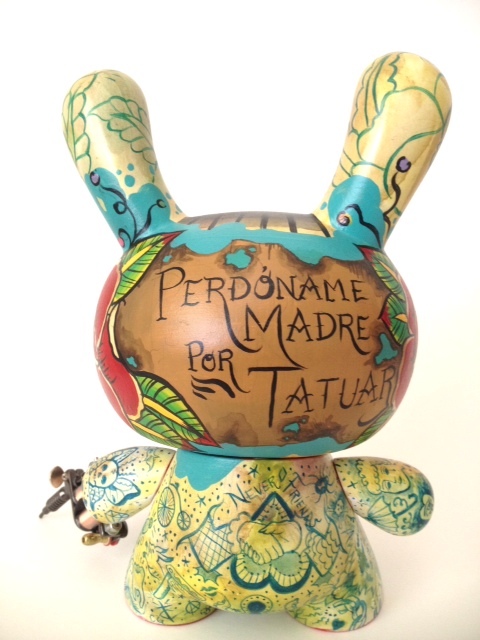 And keep an eye out for a mini series of 3" Dunnys she plans on starting soon in continuation to her "Perdoname" piece. I can already predict an instant sellout ;) But for those of you who can't wait, she is currently taking commissions so feel free to HIT US UP for more info and we'll get you in direct contact with the Chica herself!